Not only did the President and his partners in Congress take $716 billion out of Medicare to pay for Obamacare, but they also raise taxes by $836.3 billion to pay for it, with $36.3 billion hitting Americans in 2013 alone. 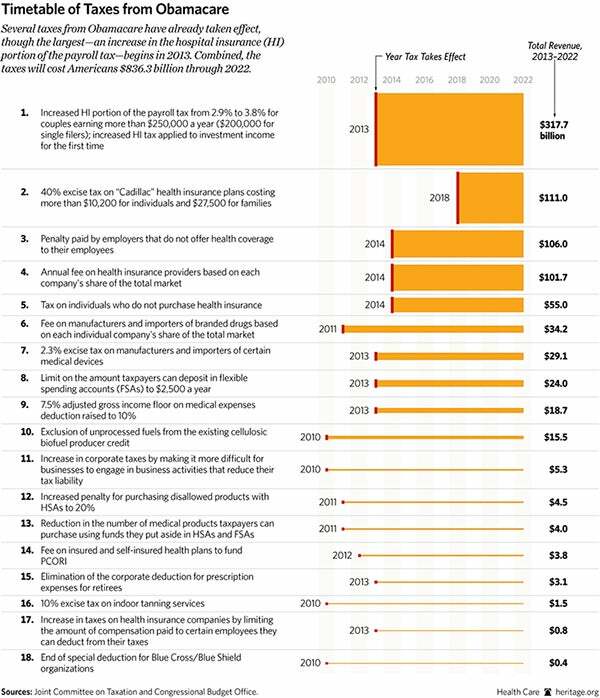 Here’s the Congressional Budget Office (CBO) and Joint Committee on Taxation‘s (JCT) updated cost of the Obamacare tax hikes and penalties. To read about more of Obamacare’s negative effects, click here.